Being on vacation, I needed my mom to tortoise-sit for me! Part of the job involves soaking them in warm water to help hydrate them! I'm also watching a friend's box turtle and he seems to not like being in encloses spaces AT ALL! My mom managaes to capture this escape attempt! You can see Scooter, my Russian Tortoise, behaving like a good boy in his bathtub! "Okay. The coast looks clear..."
"Oye. 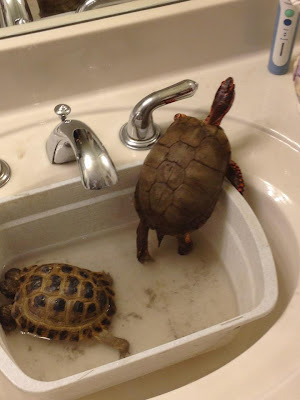 I've never seen rocks like this before._ Mom said he kept turning the faucet on, hahaha. End turtle-rama post here! Today is a lazy day at home in San Diego...I plan on drinking multiple cups of Teavana tea! I've also got a review coming up soon! Maybe tomorrow...I have to make sure I have the photos since I only have my crap cell phone camera. Oddly enough, I'm watching "Burlesque" with my best friend and the review I'll be posting is on pin-up girl stationary! 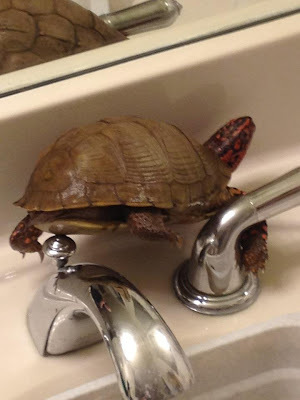 I love your pet turtle, he is the cutest!!! 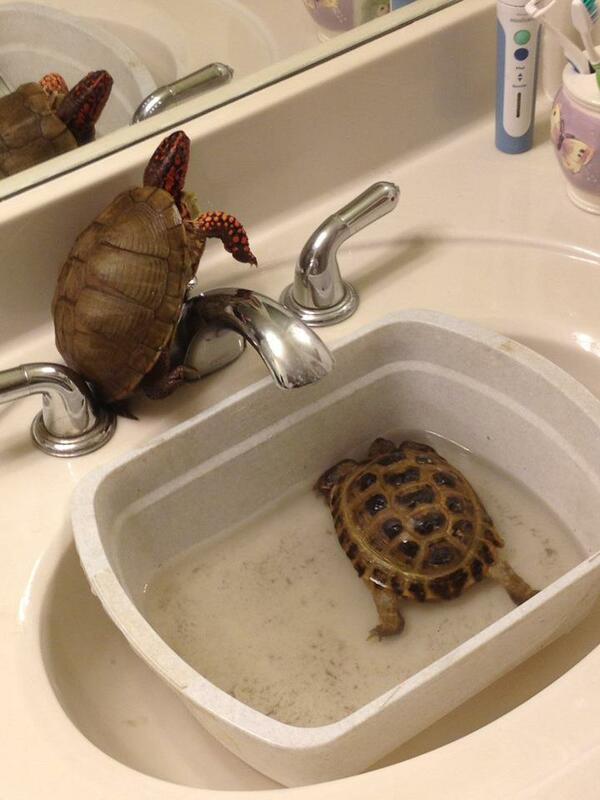 i generally freak out with reptiles, but I don't mind turtles!